These tips can help you get the maximum battery life out of your laptop for those times that you don’t have access to your charger. These tips are aimed SOLELY at increasing your battery life, so some system performance may be sacrificed to achieve maximum battery life. Turn on power saver mode. This option can be found in the Power Options section of your control panel. This is where the performance decrease will be most noticeable. Power Saver caps your processor’s clock rate at a much lower speed than what it is rated at. HOWEVER, this lower speed means massive gains when the battery is put into the picture. Power Saver alone can increase your battery life by UP TO 5 hours. Remove your external keyboard and mouse. Yes they make that big of a difference to your battery life. A basic keyboard and mouse with no extra lighting or features can decrease your battery life by almost 15%. But if you’re more concerned about productivity, the savings may not be worth it, and you may be able to just use the battery drain as a motivator to get more work done. Lower your screen brightness to at least 50%. You can go lower but the difference in battery life gained is negligible. From 100% to 50% you are looking at a gain of around 15 – 20% increase in battery life. If you have a keyboard backlight on your laptop, TURN IT OFF during the day. Surprisingly this is a massive gain of around 15% according to most tests conducted. Reduce the number of background applications running. Unsurprisingly, the less your processor has to do, the more energy you’re saving. Lastly turn down your speakers or use headphones. Your laptop speakers can take up a surprising amount of power, especially if they are “media center quality” as some put them. Simply the act of plugging in headphones can add around 10% battery life to your system. 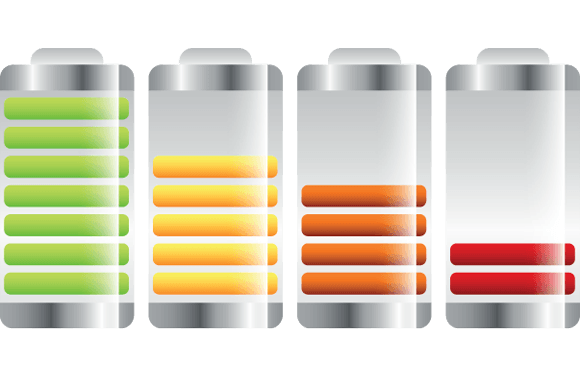 Hopefully these tips helped you achieve a longer battery life. Now obviously these do not apply to desktop systems since they don’t have batteries. There are other ways to increase your systems energy usage, but these require a bit more in-depth configuration. If you’d like to optimize your system as much as possible we offer that service for a very reasonable cost. Please keep us in mind for when your system starts to feel a little sluggish. We can help put some life back into your system. We are your local Austin area computer repair specialists.